Today we’re looking at the best practices in fulfilment, beginning with reducing the operation costs. Cost of operations includes maximising the return on assets which includes employees, inventory, materials, facilities, systems, software and handling equipment. When it comes to direct operations t he main issue is working out how to reduce the cost of direct labour and the movement of freight. There has been a trend where firms are buying up large numbers of multichannel businesses. Now there are a huge amount of multi-brand operations are being merged together into smaller call centres and fulfilment centres, both responsible for processing multiple brands and titles. These companies have to continually look at their process improvements so they’re able to remain competitive. In order to improve their needs to be measurements and this it’s now recognised that regular and overtime man hours worked and paid data needs to be captured. Once data is captured it’s necessary to develop comparisons with the volume measurements as the lines, orders or units are shipped. It’s necessary to make the warehouses a great place to work in order to capture the best workers ahead of the competition. Better pay is now witnessed and the labour costs along with the cost of freight and transportation now play a major role in deciding to move a DC. Decreased in absolute productivity often follows increased labour costs and it is up to the companies to find a way to stop this trend from occurring. This is possible by clearly establishing performance expectations, measuring units and gi ving feedback to the work force. Retaining employees should also be worked towards in a bid to reduce spending. Employee turnover is expensive and all companies benefit by working to retain their staff through a positive work culture. Staff development and communication requires strong and experienced first line managers. There are some common problems which need solving, such as improving production levels, keeping employees motivated, managing multilingual employees, managing flexible schedules and getting the managers to plan changes and accommodate order and inventory growth. 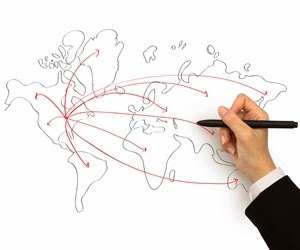 Relocating facilities costs a lot of money and can add stress to the customer services. 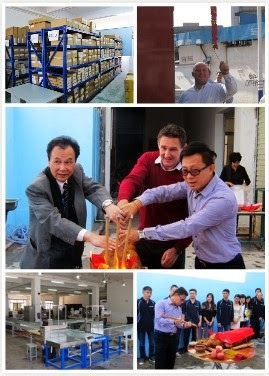 Therefore companies often work to increase the size of their warehouses and make better use of the space. By doing so the time spent in a facility can be extended and put off for a few more years. Warehouse automation is a trend that can successfully see a great return on investment. However, he distributing centres and processes may require some intensive redesign, but the positives are the increased capacity and the reduced cost per order. Return tomorrow for part two in the best practices in fulfilment. Multichannel industries experience many challenges. There are many trends to be aware of in multichannel fulfilment and the way businesses are taking on these trends and finding ways to work with them by implementing best practices. There are metrics that need to be applied in order to gather data, measure and apply results in a bid to improve the fulfilment operations. Tomorrow we shall be looking at the best practices in fulfilment that can be used to tackle these trends head on and make the most of the opportunities created from the challenges they create. 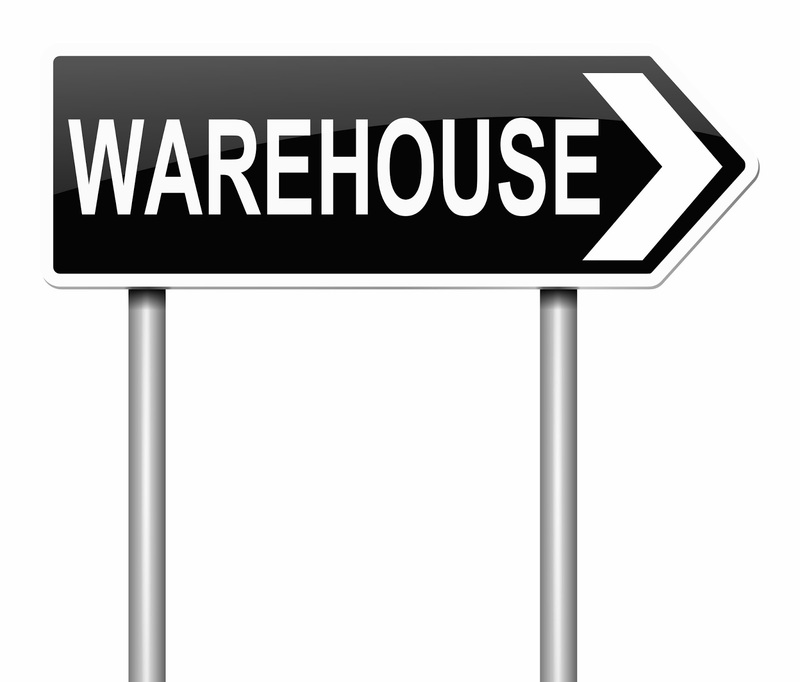 When it comes to warehouse metrics it’s vital that the correct data is collected and used to make improvements. Yesterday we looked at customer services and made to order data. Today we have two more areas where you need to concentrate your efforts. Expense control is the one that is the most important measurement as far as the CFO’s are concerned. This data takes into account the cost of the warehouse as a percent of the company sales. Warehouse costs include items such as all types of labour, benefits for employees, operating the equipment, maintenance, rent and outgoings and depreciation. An additional expense is the logistics and transportation costs as a percent of sales and the number of sales and lines shopped by each employee of the warehouse. When there’s enough transaction data it becomes easier to establish the productivity standards. Benchmark the warehouse cost structure and productive per employee against your distributors, or you could benchmark against the industry research. 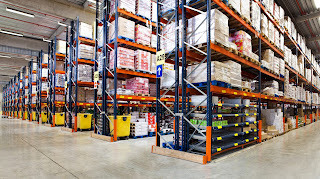 The most beneficial is to use the targets of your own warehouses as there are man y unique factors to consider. There are huge amounts of data collected from today’s warehouses that it can be a little overwhelming to know what data to collect and what to do with the information. Managers often find performance data is difficult to apply to improving productivity levels and customer services, but it is most certainly possible and beneficial to do so. When it comes to data the managers need to identify the key metrics, gathering, reporting and applying their findings to benefit the business. The collection of the data really isn’t where the problems lie. These days collection of data can be automated using warehouse management systems, collecting data from set periods, displaying the information and even creating reports to help managers identify problem areas. One of the best places to start measuring is where your customers have the most concerns and personal interest, your Perfect Orders. Perfect orders are the goal of all warehouses, where customers constantly receive their complete order with the right products and quantities, on time, in perfect condition and with the correct documentation. With perfect orders customer satisfaction increases and the cost of customer support decreases for the company. The perfect order is the calculation of the error free rate of each stage of the perfect order. 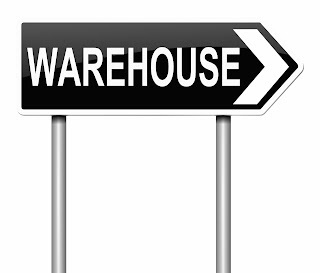 It can be tracked in the warehouse management system when reason codes are used to identi fy different categories such as the pick accuracy, on time deliveries and accurate invoices. All the data is calculated to define the perfect order metric. The fill rate, which m easures the lines shipped against the lines ordered by a customer. Ship to promise, which measures the timelines of order filling and the shipping accuracy rate measures the accuracy of the order. New customers, recording the number and percentage of new customers in each time period. Customer retention, charting the percentage and number of new customers in the set periods. Return tomorrow to learn the other areas of metric measurement in warehousing. The top predictions for IT users and organisations in 2014 have been revealed by Gartner. There ar e lots of disruptions expected and there are a few areas where the trends are expected to impact beyond the borders of IT functions, so let’s take a look. 2014 will see lots of excellent mobile devices, platforms and computer styles exploding on the market, with even more focus put on bring your own device programs. More focus needs to be put on the security and confidentiality policies when it comes to BYOD so clear expectations are set and followed across the board. There is already an incredible buzz around 3D printing and it is expected to grow by 75% during 2014. Now consumers are able to get hold of 3D printers for reasonable prices is helping 3D printing generate hype. It’s great news for entrepreneurs and small businesses who will be able to reduce costs in areas such as design, prototyping and short run manufacturing. Smart machines are expected to improve, finding a balance between active human work forces and cold efficient learning machines. Speech recognition is expected to improve and double during the year, with smart machines taking up 10% of activities that are deemed dangerous to human life. As the fears surrounding cloud computing subsides cloud computing is becoming an integral part of business and personal usage. The benefits of using cloud computing continue to be recognised and it is expected that the demand for increased storage capacity will be the main area of concern for suppliers. In the years to come it’s expected that wearable computers will become adopted into the mainstream. Expect to see more wearable gadgets released from giants such as Google, Apple, Samsung and Microsoft. 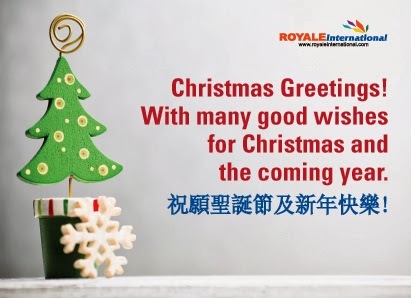 Royale International Couriers Limited sends you our warmest greetings with many good wishes for Christmas and for the coming year! How do you take your business to the next level? Before you can answer this question it’s essential that you have a complete understanding of your business and how it’s performing. 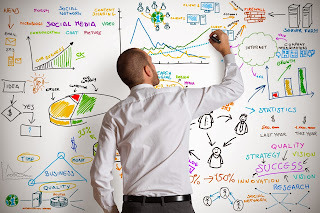 To understand your business performance you have to be collecting business data and analysing it. There are ten key metrics to monitor, especially if you’re a small business looking to move on to the next level. Sales revenue which is defined by the income made from the sales of your products or goods minus the costs such as returned goods and undelivered items. When everything is running smoothly the numbers increase but you can analyse the data for trends too. The sales data should correlate with advertising campaigns, seasons, competitive actions, price alterations and it can also include data such as Return on Sales and Return on Assets. 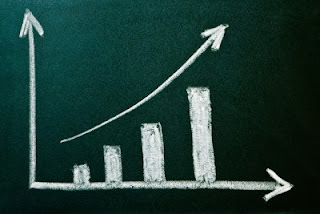 The cost of customer acquisition to measure the total costs that are associated with getting new customers. To work out the cost of acquisition you must divide the total acquisition expenses by the number of new customers that have been gained over a s et period. This will then show you if your advertising and marketing costs are paying for themselves. 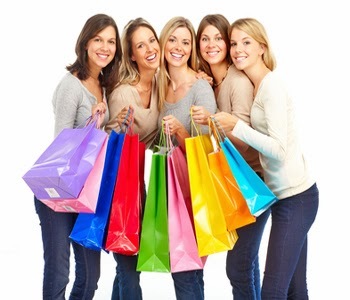 Customer retention is all about creating loyal customers who return to do business with you. You can build customer retention by delivering and exceeding on your promises. Measuring loyalty involves asking for direct feedback, purchase analysis and customer surveys. Operating productivity is essential. If you are not sure of your staff are performing you cannot ever know if the inner workings of your business are working well. Unhappy staff can put your whole business at risk so it’s important to boost productivity levels and analyse them on a regular basis. Apply productivity ratios to all areas of your business you think are appropriate and look for continuous improvement. Measure the size of you r gross margin by calculating the total sales revenue, minus the costs of the goods that have been sold, divided by the total sales revenue and present this calculation as a percentage. The higher the percentage the more your company is able to retain. With increased volumes you can improve productivity and efficiency while reducing costs. Profit and loss per month should be analysed. In the calculation you must include all items including the cost of the rent or mortgage, insurance, tax, salaries and all expenses including all fixed costs. With the profit and loss you can work t o reduce the costs of operations and work out your pricing. Overhead costs should always be recorded and tracked carefully to ensure they don’t get out of control Track the overhead cost metrics on a monthly basis and see where the spending is occurring in your business. 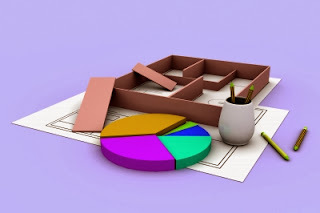 Use the data in your business plans and budgets. Variable cost percentage, which are variable expenses that change in proportion with the activity of your business. The fixed and variable costs are the two parts that go into the total costs. The size of your inventory including raw materials, completed goods and work in processes are the assets of the business. Management of your inventory is a must as you need to know if you are losing money with too much inventory. Hours worked per process. Keep metrics of your total labour costs for all the various functions. Labour is likely to be one of your biggest expenses and change. You need to be able to work out the cost of potential changes such as automation to see if they’re justified. By ensuring that your customers feel valued and important, your company can outshine your competition but you must come up with ways for your customers to walk away from you feeling 100% satisfied so they return again and again in the future. Think about how you’re working to make each of your customers feel important, if you’re not sure perhaps the following ways will be of great use to you. Always pay attention to your customers and make note of all the little things that may not be directly related to the sale. Pay attention to the small details for each person, notice them, comment and make them realise you value them as individuals first. Your customers do need to come first; it’s not simply a saying that is to be ignored. Put your customer first and remember they will be thinking ‘what’s in it for me’. 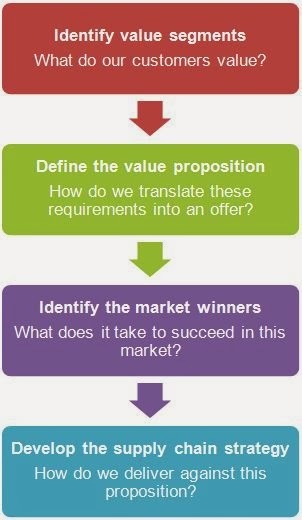 Your aim is to have this question on the top of your mind so you can work out how you can answer it for your customers. Listen effectively, really listen empathically and make sure you listen and watch out for any hidden signals. When you pick up on emotions it’s easier to work out what the customer is experiencing, how they are feeling and how you can work to resolve the situation. Imaging you’re the customer in the same situation and see how it feels and what you would like to make the problem go away. When a customer comes to you with a problem you must put yourself in their shoes and this will help you to deal with the problem with more compassion. You have to listen to feedback and be open to it in order to improve your customer services. If you have made a mistake be honest and apologise, then take steps to make it right. Put down your defences when it comes to feedback and be grateful that they are taking the time to show you the areas that need improving, then take action. Don’t delay; deal with the problems immediately or as quickly as you possibly can. If you are unable to spend time resolving an issue immediately at least acknowledge the customer personally so they know you has received their complaint. Show your appreciation creatively by finding new and exciting ways to say thanks to your customers. By showing appreciation it is easier to build a loyal customer base. You can hold special events, give free gifts or discounts, send something to your best clients from time to time and reward customers who refer your business. Your employees need to be taught how you deal with your customers. You cannot assume that the staffs automatically know how to provide excellent customer services. It’s your duty to ensure they know your stance on dealing with customers and that you create and share the policies and procedures with them. Your employees are not able to read your mind, so you have to know the service you expect to be delivered and how you want them to behave, and then pass on this information. The way you want them to behave and act will depend on your business and your customers. To define the goals and expectations start by understanding the customers and what they want. Ensure your employees have the tools they require to deliver on your expectations. You must know what the tools are that are needed and provide training for each employee to use the tools efficiently. Give them everything they need to exceed the customers’ expectations and give them the power to act in ways that will satisfy the customer. The customers always benefit if the employees are able to have the final say on the customer service provided rather than having to put customers on hold to ask the supervisor or boss. The customer service training needs to be based on real experiences, including your own, your employees and the people in your industry too. Use real experiences to provide ge nuine positive, neutral and negative examples that can be learned from. Role play is a great training tool that gives employees a chance to practice in a safe environment that can be closely monitored and measured. The entire team needs to be focused on training processes. Ask each person to relive their worst customer service experiences and share why the experience was so bad and disappointing. Then address the rest of the team and ask how each one would have worked to provide a better customer service and a successful outcome. You have to lead by example and show your employees how you interact with your customers. You must always send the right message to your employees, don’t speak badly about the customers and do everything you can to remain polite and helpful to ensure the customer wins. Be the role model to look up to. A great way to improve your customer services department and policies is to remember a time when you have been let d own by a company. Then think up ways you would have liked the company to have treated you differently and apply your experiences and wishes to your business. Your customers need to win when they deal with you, not left feeling unsatisfied and disappointed. Focus on finding ways that you can exceed expectations every time, bend over backwards to give them results that will resolve the situation. There isn’t any chance of exceeding the expectations of your customers if you don’t know what it is that they want. It’s okay to make assumptions but it’s vital that you also know what your customers want. There are ways you can discover what this is, simply asking the customer before the sale is completed is one way. You must understand their needs and find ways of providing the perfect solution. Work out what you can achieve for your customers and don’t promise them anything that isn’t achievable. Be realistic and moderate your deliverables. You can then go further and surprise them with more than what was promised, leaving your customers very happy with the service and keen to return for more in the future. This is a brilliant way to attract referrals and positive reactions to you r business too, get people talking for the right reasons. Define future business opportunities that can be applied once you’ve over delivered to a happy customer. Think about how you can take your customers further with your services once they’ve enjoyed their experiences and experienced great results. By defining future business you can continue to work for your customers helping your business grow. Your customers or clients are your business. Without them you wouldn’t be where you are today and you won’t be where you want to be in the future. Some people have loyal returning customers and then there are others who find it impossible to retain their customer base. If you’re focusing on increasing your customer retention here are ten principles to apply to your business that will help develop loyal customers. Measure everything you do so you know which areas need improvement and which areas that are working for you. Make sure you really understand what your customers and clients really want to receive from you. Ask your customers, use surveys, questionnaires, give them a call, send emails, do anything you can to find out what you could do that would serve them better. Your everyday goal should be to exceed your customers’ expectations. Promise only what it is possible for you to deliver and aim to exceed these promises. The 80/20 rule is one to remember. The rule is 80% of your business comes from 20% of your customers. All of your staff needs to feel empowered to deal with your clients on their own. Customers don’t want to speak to people who can’t help them so all employees need to have the power to leave the customer satisfied without passing the buck onto someone else. Your customer care strategy must be proactive. The marketing strategy should include a continuous plan for customer care that is concentrated on your customer and not your business. Include regular contact with customers to keep the focus on them, offering discounts and special offers, newsletters, invitations gits and events. Be creative so you stand out from the crowd. Keep thinking up new ways to engage your customers throughout the year. Customers are always right and you should never forget it. Make your business the one that always says yes to customers and never lets them down. Don’t neglect the old fashioned values as they still work. Be polite, help your customers find what they want, eye contact, face to face contact and telephone support as just as important as using new technology. Maintain regular contact with your clients to create a good relationship. Collect data from your customers such as their address and emails and think of ways to contact them without spamming th em with stuff they’re not going to be interested in. Wow your clients, learn what they like and don’t like and surprise them out the blue from time to time with something they can’t ignore. It is fair to say that if you had no customers to worry about your business would be easier and far more enjoyable, however, without the customers there wouldn't be a business. Your customers are an essential part of your business and their satisfaction has to be a priority of yours. It’s essential to have a policy in place for your customer care to ensure they are left with a happy smiling face, no matter what. If you’re about to revamp or create a customer service policy here are five customer service commandments to use as a base. Face to face customers come before phone customers. There’s nothing quite as irritating as waiting to speak to a customer service assistant while they spend fifteen minutes helping someone else on the phone. Customers left waiting at the desk feel frustrated, ignored and can become angry. Your policy should include all customer service agents politely take down the name and the number of the caller to call back and acknowledge the face to face customer, dealing with their problems before calling back the caller. Never complaining about the job in front of customers. Overhearing agents complaining to one another about the work is never a good idea; it’s inconsiderate and rude to the customers who may overhear the conversation. Customers don’t care about low wages or long hours, they care about the service they receive. Customers should always feel as if they are truly valued so take steps to ensure people feel special. Even something as simple as remembering the names of your customers when they walk through the door make a difference as does thanking those customers who have had to wait some time to be served. 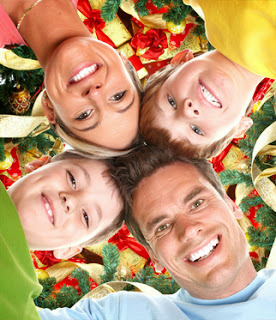 Think of some routine ways your agents will be able to make everyone feel special and always have a positive attitude. Manners are everything so remember to be polite and courteous at all times. You and your employees need to put person al feelings and moods aside and always remember simple courtesies such as saying please and thank you. Adopting the ‘Can do’ attitude will serve your business more efficiently compared with the ‘Sorry there’s nothing I can do’ attitude. If it is impossible for you to do something for your customer the next action to take is to find someone who can help on behalf of your customer. Go the extra mile and get the results your customers deserve. When you reach the end of the line as to what you can achieve finds something that will help to make it up to them instead. It isn't possible to measure how successful your customer services are by using a single metric. You have to take a whole collection of metrics using a balanced scorecard that includes a series of metrics that will show the costs involved and your customer satisfaction levels, and if there are sale responsibilities included the revenue raised must also be taken into account. Choosing the right metric for your stakeholders involves working through two steps. The first is to have a complete understanding of the objectives for your company which will be used to report to the executives. The second is to have the right operational metric in place for your customer service centre that is able to map directly to the KPIs on a daily basis. Align the activities to the outcomes; don’t waste time measuring and optimising the activity if it isn’t possible to map it to KPIs. Customise metrics so they’re perfectly fit to your business. Use different timeframes to analyse your metrics. Remember your customer service won’t be made automatically good just because you improve the technology you use. The human factors also have to be taken into consideration including how you compensate them, employer them and keep their productivity levels high. There isn’t one magic metric that you can use in your business to measure the success of your customer services, there are many. Each of the metrics combines so you’re able to act, organise and achieve success in this department. The problem is with too many metrics you can take too much time and focus away from some of the data that is more important than others. Customer loyalty - Ask your consumers questions that will result in your customer retention team taking steps if negative answers are provided. Self-service or community experience – did the customers find the answers they needed and what suggestions would they make to improve their experience. Relationship surveys – Surveys given yearly or quarterly to see what customers think about the support experience they received. Post incident surveys – Ask customers about the customer service skills were like, how quick they were to respond and if they were left happy. Gross margins – percentage of services revenue retained after the cost of the costs involved in customer services. Hourly labour burden rates – wages plus overtime plus benefits plus cost of applicable taxes. Training days in the year- Training has a direct relation to their productivity and customer satisfaction. Incident volume per channel – Vital for staffing plans during the peak times of the year and for quality control and investments in the future. Hold time and abandonment rates – The rate when customers have abandoned the queue before reaching customer services. Incident handling time and talk time – Monitor the times to see if there are individuals that require training. Response and resolution rates – the time it takes for customers to be acknowledged and the time it takes for the issue to be resolved. 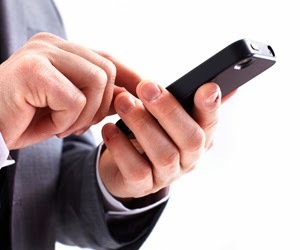 First contact resolution – when issues are resolved in the first line of contact. Escalation rates – Issues that are being escalated on the certain channels and discovering why that is. Incidents that are resolved in 24 hours - Fast resolution is now expected by consumers. Customer services can make or break a business. Yesterday we looked at six proven techniques for excellent customer services and today we have six more for you. Never ignore difficult customers. You need to tackle the problems head on and deal with it head on in order to show your unhappy customer that you understand and that you care. Training should be provided to all staff to ensure dissatisfied and difficult customers can be handled to benefit the customer service department and company as a whole. Follow up with your customers once the transaction has been completed. Ask ad analyse the feedback to ensure you know what you’re doing right and what you may be doing wrong. Following up is a great way of increasing customer loyalty, something everyone wants. Pay close attention to your competitors and try to work out what they’re doing right so you can learn from them. See what areas seem to be paying off for the company and work out how you can use them in your organisation. Similarly learn from their mistakes too. Rules can stop customers being left satisfied and therefore you may need to break through these barriers to achieve excellent customer services. Your employees must be freely able to focus on the customer and give them a service that will result in their complete satisfaction. Give your customers more choice. If you want to impress your customer focus on not simply selling your services to them. Give the information and assistance to ensure they make the perfect decision to solve their problems, even if it means offering the options available to them by a competitor . Owners or businesses need to be committed and passionate about delivering customer services that exceed the expectations of their customers. It is therefore important that they take the time to try and help customers by being present, and finding out ways of leaving consumers happy. They need to walk the talk. What is Planning and Control?